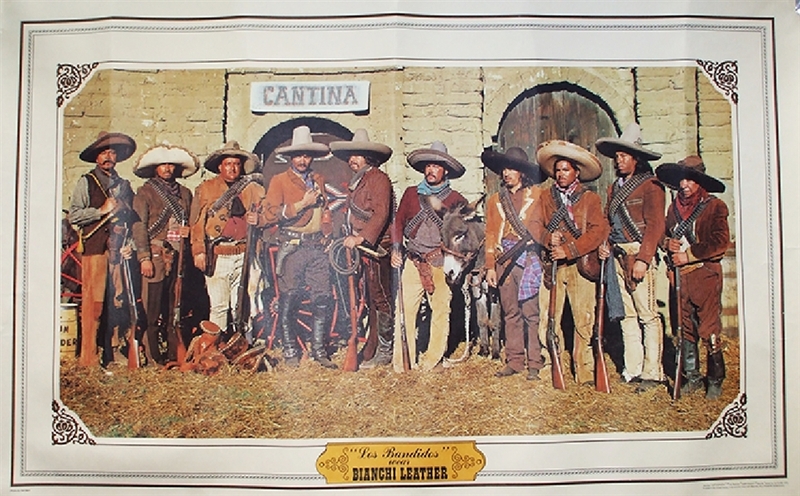 “Los Bandidos Wear Bianchi Leather”, 1978, 36” x 24”, color printed advertising poster, VG. There were five of these Histograph posters produced. Very collectible. This copy shows ten men, completed outfitted in period leather and armed. Near Fine.